If you know me at all, you know I love wine. 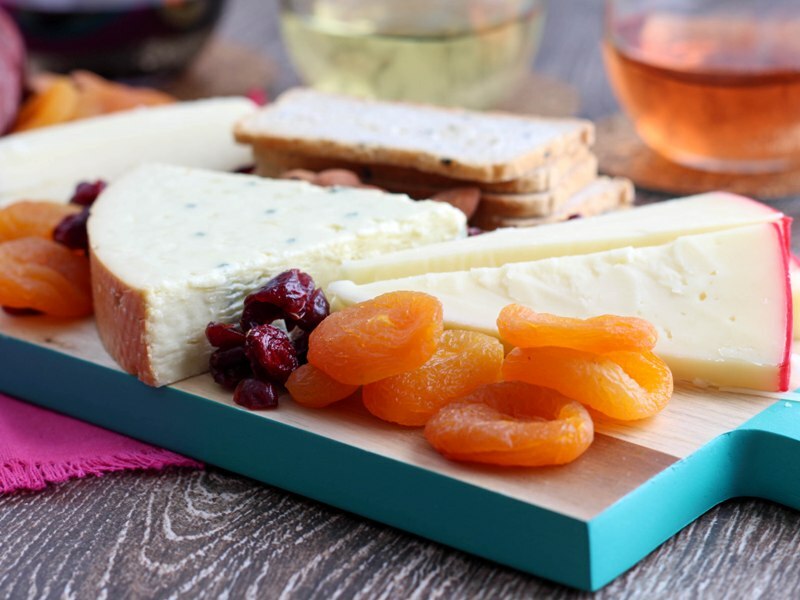 But I also love a good cheese board to go with that wine. It’s one of my favorite summer past times, to sit in the setting sun and end the day sipping white wine and chowing down on some cheese. Nom nom nom. 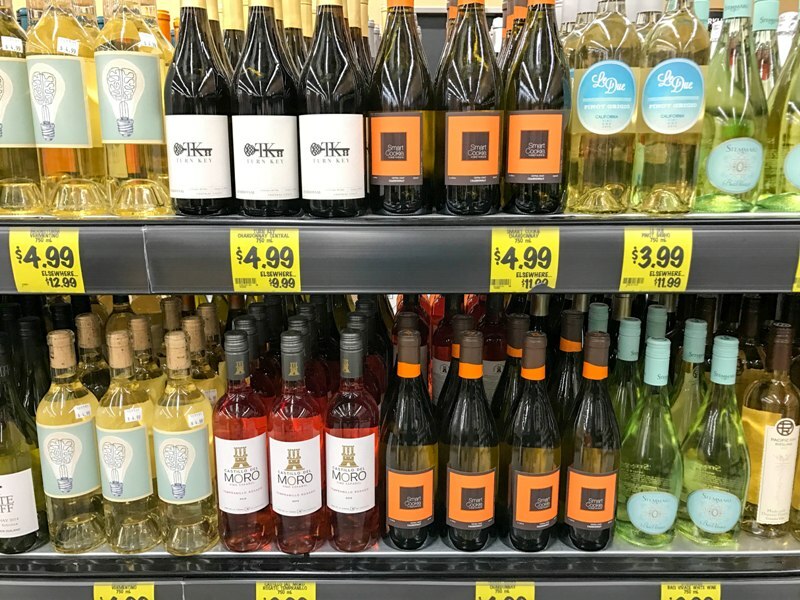 When the Grocery Outlet Burbank location opened up earlier this month the thing that surprised me the most was the fabulous WINE section! It takes up an entire corner of the store! I’ve already sampled a few bottles and I like what I’ve had so far. 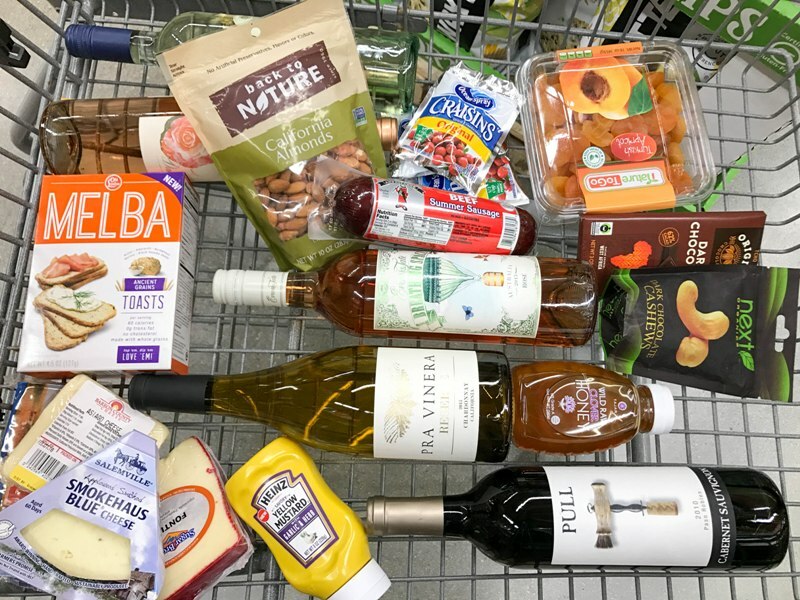 The best part – wines range from $3 to $7 on average. Quality wines at an amazing price is totally my jam! I decided to recreate one of my favorite wine tasting offerings at Disney California Adventure’s Al Fresco Tasting Terrace – the Red, White, and Rosé sampler. I like it because you get variety of varietals (say that 10 times fast), so it feels like a true wine tasting. And you can’t have a wine tasting without a charcuterie and cheese board! I wondered if I would be able to put together an impressive and tasty cheese board by only using items I could find at Grocery Outlet. Well, mission accomplished! I found everything on my list and even a few surprises. I also bought dried cranberries, Melba toasts, dark chocolate, raw honey, garlic & herb mustard, assorted cheeses, and summer sausage. I was the most worried about the cheese selection, as I assumed they would just have standard cheddar. But I easily picked out four cheeses for my plate: cheddar, Asiago, fontina, and blue cheese. To make my red, white, and rosé tasting course I selected Pull Cabernet Sauvignon, Pra Vinera Reserve Chardonnay, and Evan & Tate Breathing Space Rosé. I also picked up a couple additional bottles of wine for later, because who can resist the amazing prices?! Just as I was ready to check out I spotted these cute Ramekins that I thought would be perfect for holding some extra things that didn’t fit on the board. They are official Corningware, GREAT quality, and were only $4 each! SCORE!